A good, complete sentence is made up of two parts. 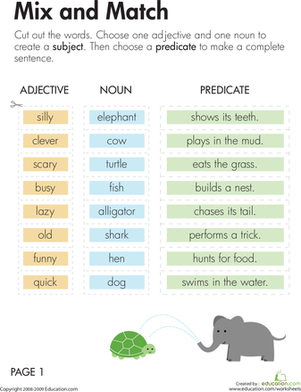 Support your child in becoming a skilled writer by teaching him about subjects and predicates. For practice, give your child a sentence and ask him to identify the subject (the person or thing that is doing an action) and predicate (the thing being done). 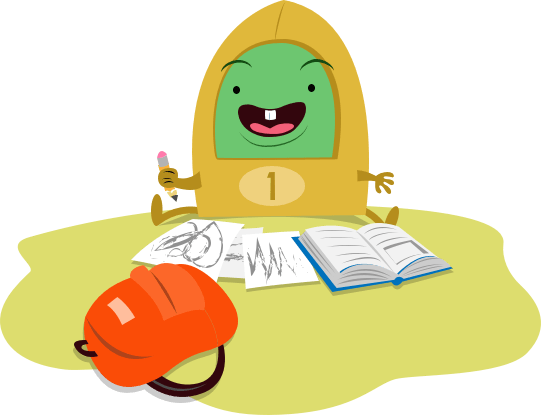 Challenge your child to fix fragments and run-ons in his own writing by using this new knowledge. There is an art to writing quality, complete sentences. 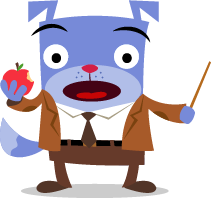 Give your students the proper tools to be great writers by teaching them about subjects and predicates. They will be equipped to write exceptional sentences and to better revise their writing when there is a fragment or run-on sentence that needs to be fixed. Get your third grader on board with the parts of a sentence with this worksheet that helps her practice identifying the subject and predicate of a sentence. 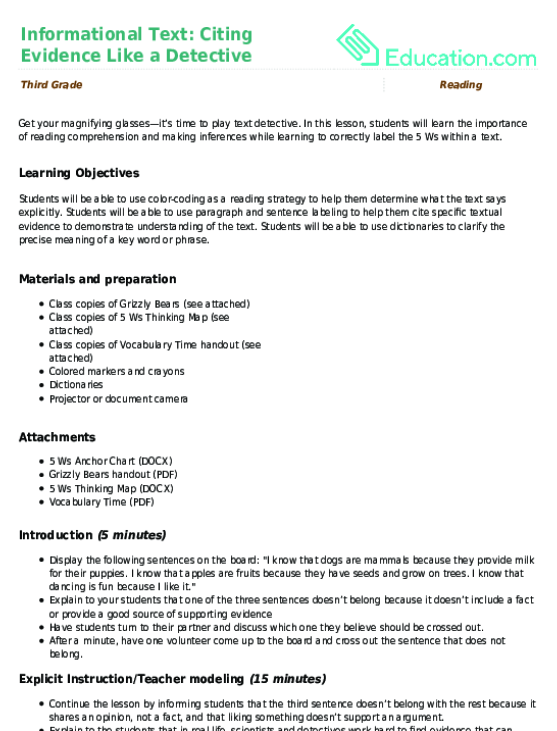 This printable grammar worksheet offers 10 sentences for students to identify the subject and predicate. On this third grade reading and writing worksheet, kids choose an adjective and a noun to form a subject, then put it with a predicate to make a sentence. Your young mathematician's success depends on constant review of basic math concepts! As the school year progresses, your child will be given more complicated math tasks, but he is still responsible for quickly and confidently showing proficiency with basic times tables. 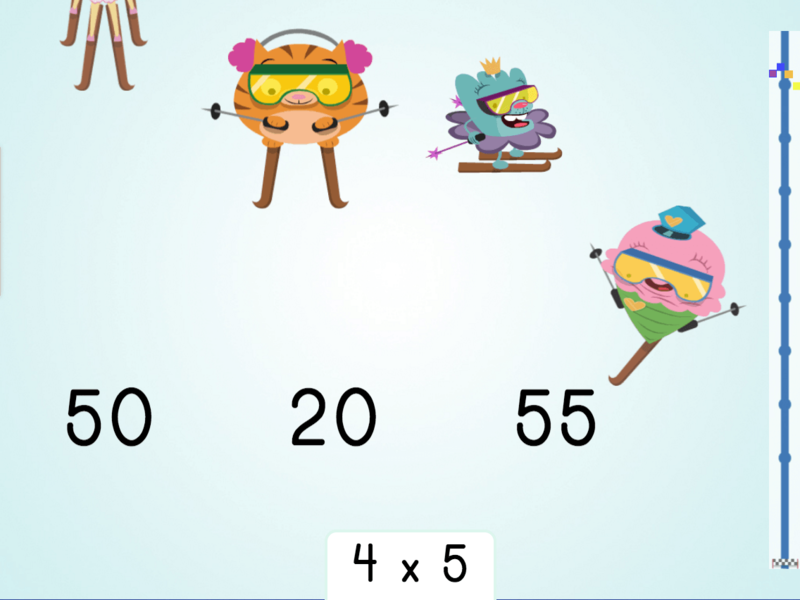 Support your child in keeping the multiplication facts fresh by quizzing him and using flash cards. As the year progresses, your students will be challenged with more complex math tasks. The basis of their success lies on automaticity and confidence with the times tables. 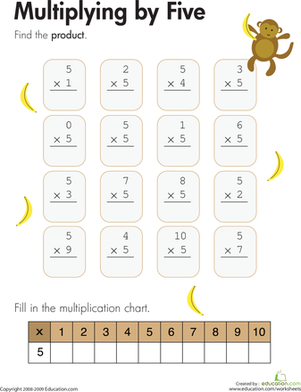 Continue to regularly review the basic multiplication facts so that they stay fresh in your students' minds! Bunny needs help finding the right carrot. Just complete the multiplication problem, color it in, and that's all, folks! See how well your child knows her times tables, and give her some practice multiplying by fives with this times tables practice sheet. Illustrations and Photographs and Captions, Oh my! Find creative ways to get your child hooked on nonfiction reading. Look at the text features in kid-friendly science or current event magazines. 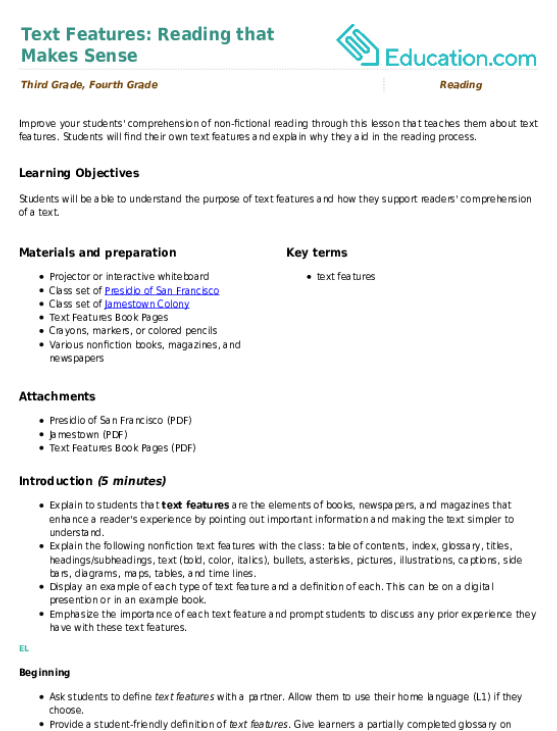 Point out that the text features support the text in the article to help us better understand the topic. As you introduce your students to the wonderful world of nonfiction, point out what text features have to offer. 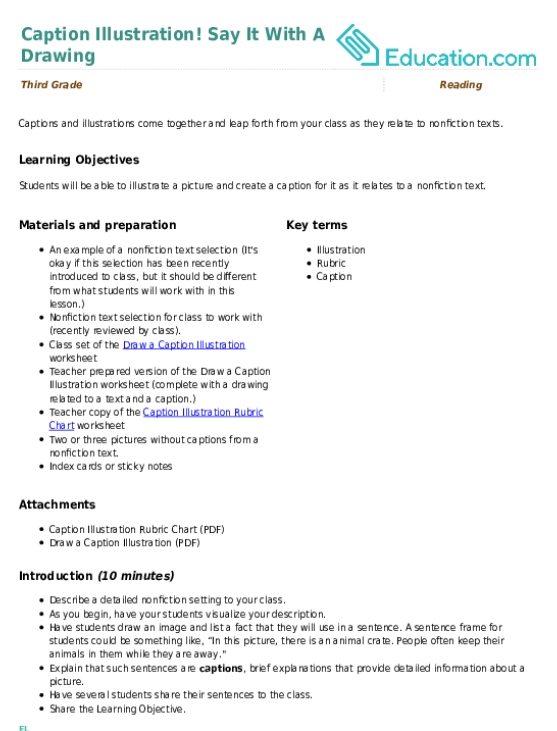 Show the students a wide variety of examples of nonfiction text features, such as charts, maps, illustrations, and side bars. Look through science and social studies textbooks, as well as magazine subscriptions, to find examples of all kinds of text features. Teach your students how these text features support a reader's understanding of the topic, and prompt them to always pay attention to the text features as they read. They are there for a reason! Support your young writer as he works to write a full paragraph with a main idea and three supporting details. To make this challenging task fun, give him opportunities to color code a nonfiction text by highlighting the main idea in one color and underlining the supporting details in another color. 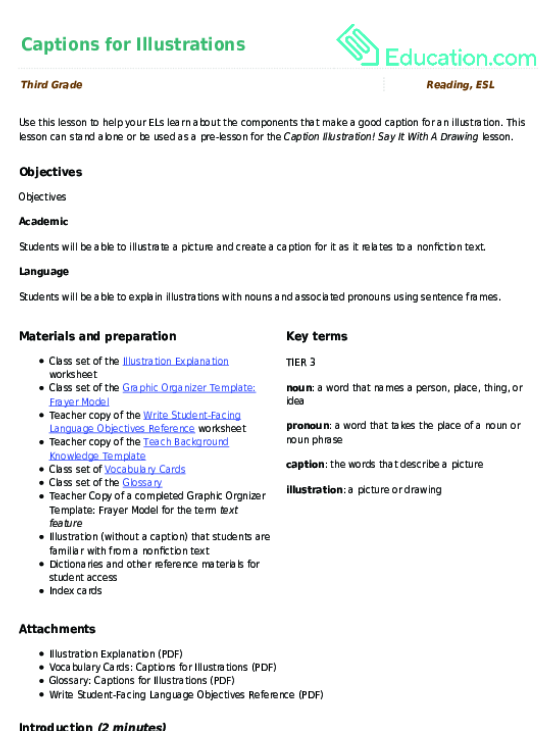 When he is comfortable with the paragraph structure, offer him a graphic organizer to use as he begins to write his own nonfiction paragraphs. Do you want to build strong writers? Teach them to always support the main idea with facts and details. Model how to pick out main ideas and supporting details in shorter texts before tackling longer texts. Engage students by color coding the main idea and supporting details in paragraphs to provide them with a visual of proper paragraph structure. Teach them to use graphic organizers as you guide your students through writing supporting details for a main idea.